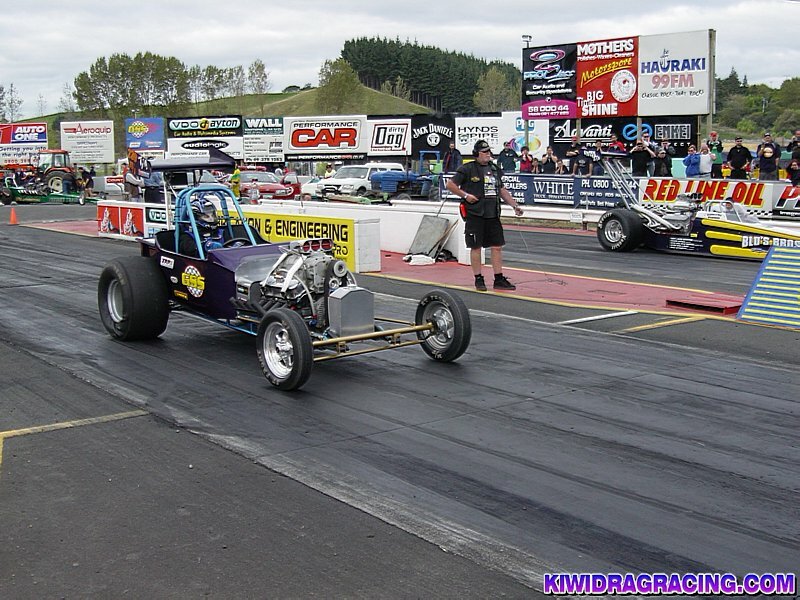 2004 New Zealand National Championships: Take 1! 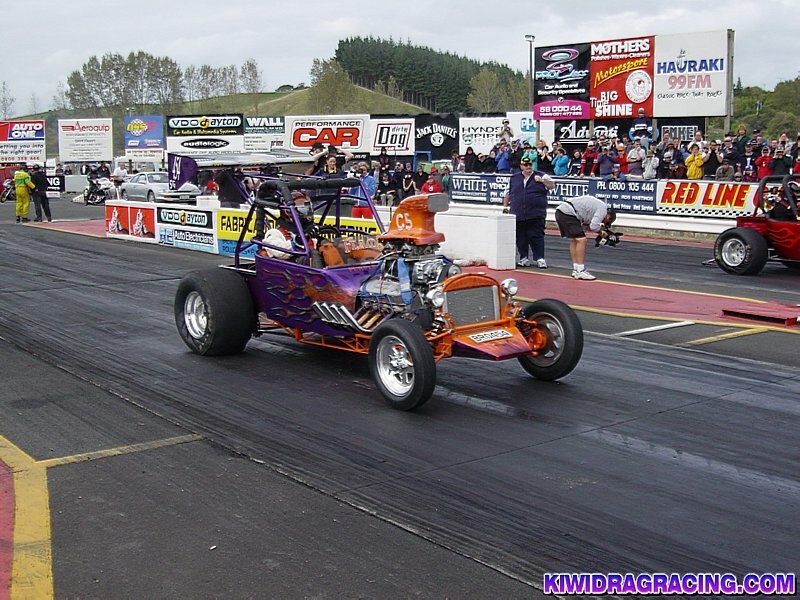 2004 NEW ZEALAND NATIONALS: TAKE 1 !! 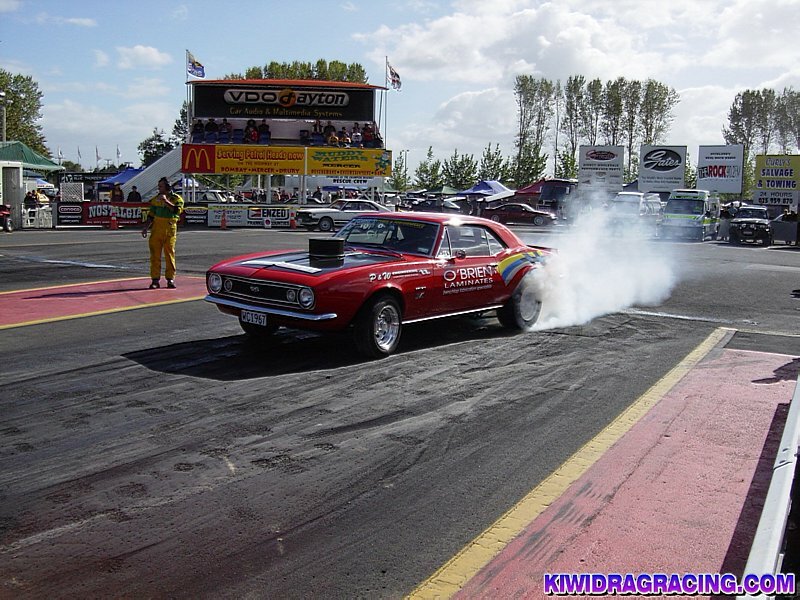 To ensure they play properly, right click on the links below and "Save As Target" to your computers hard drive to be viewed from there. 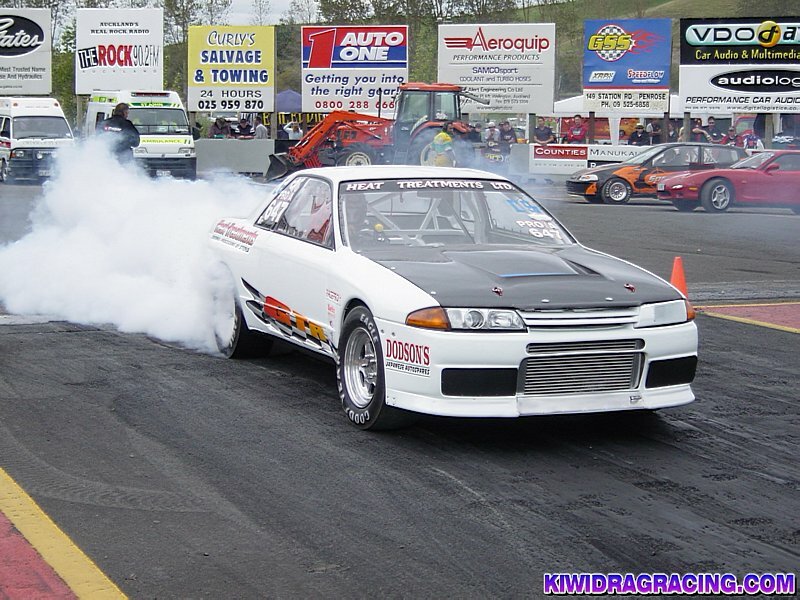 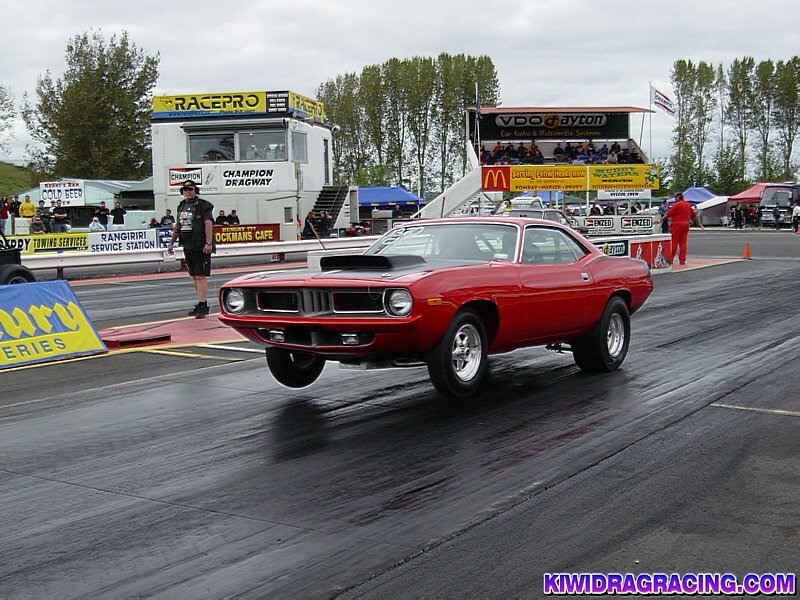 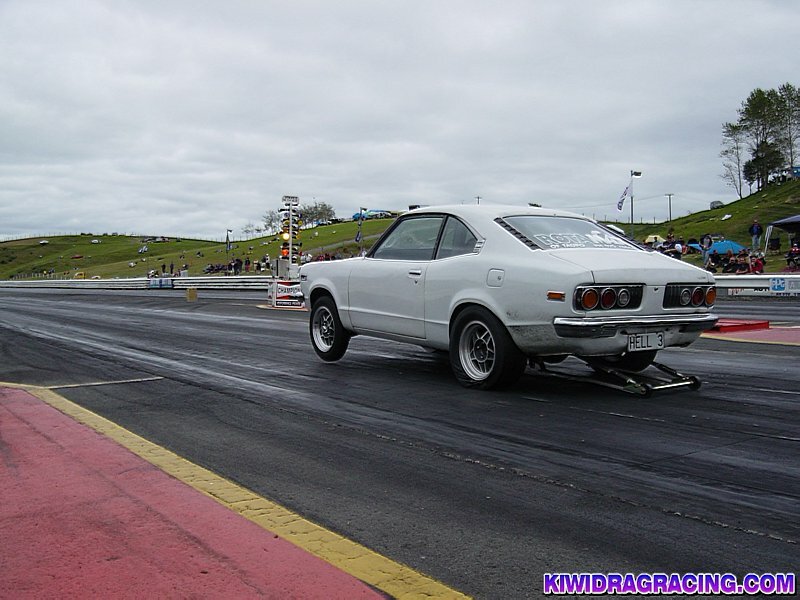 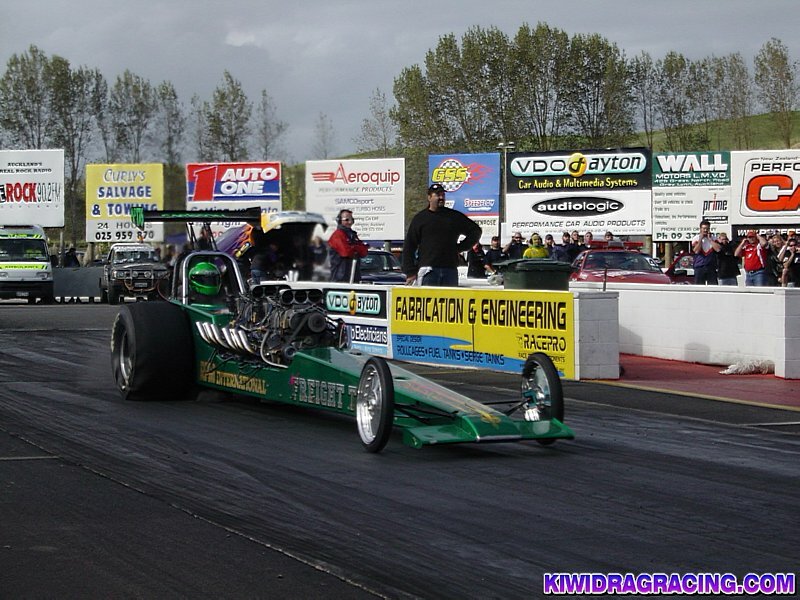 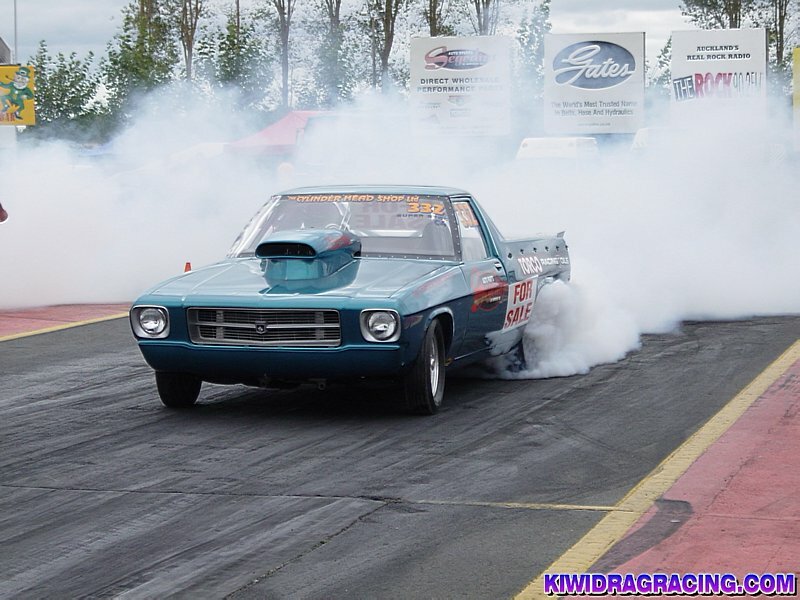 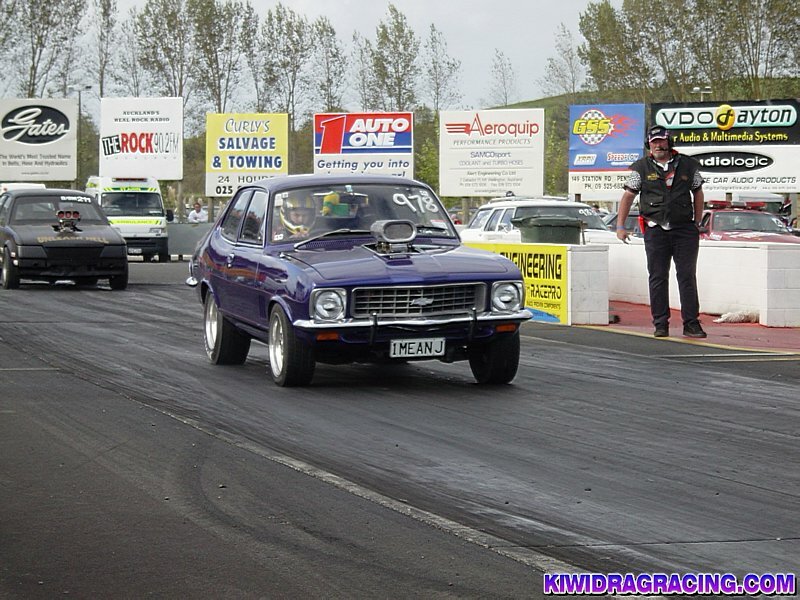 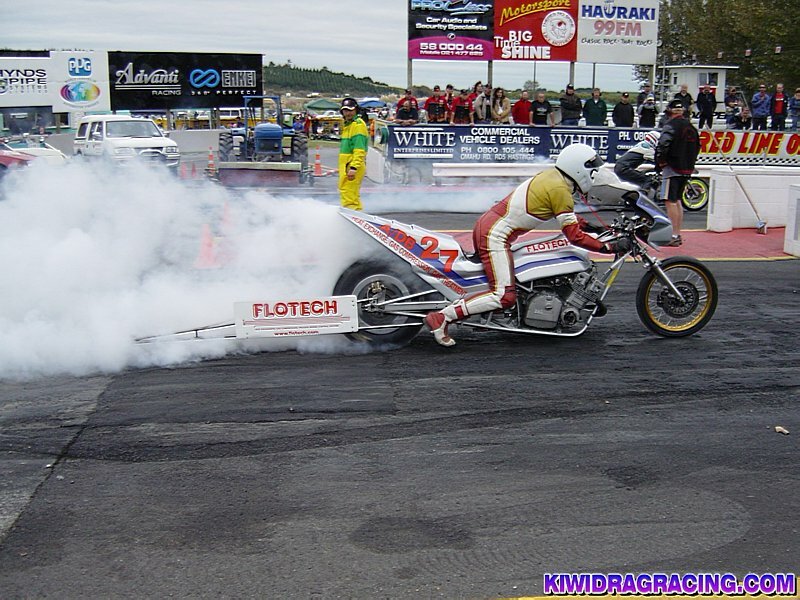 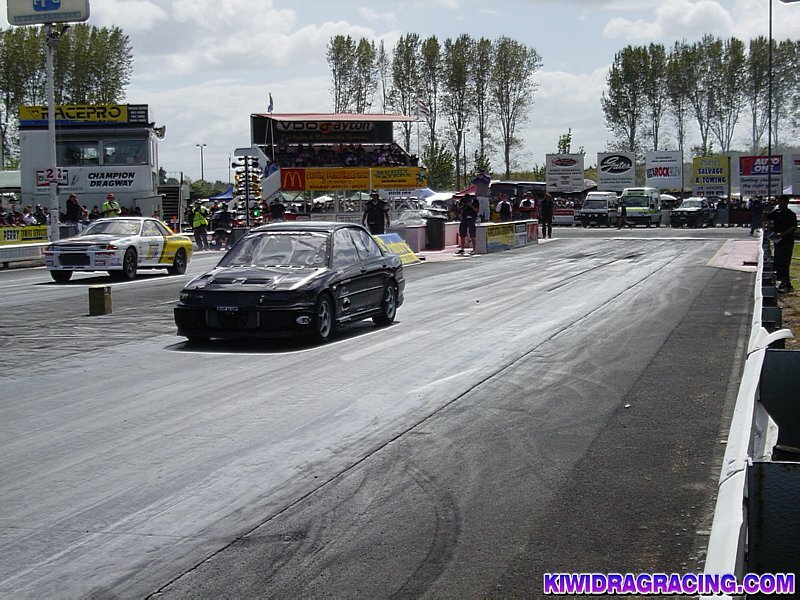 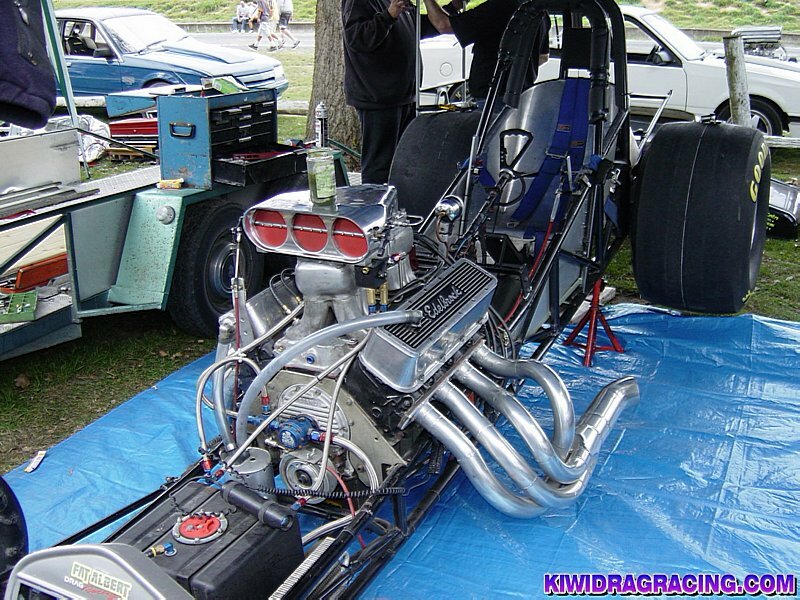 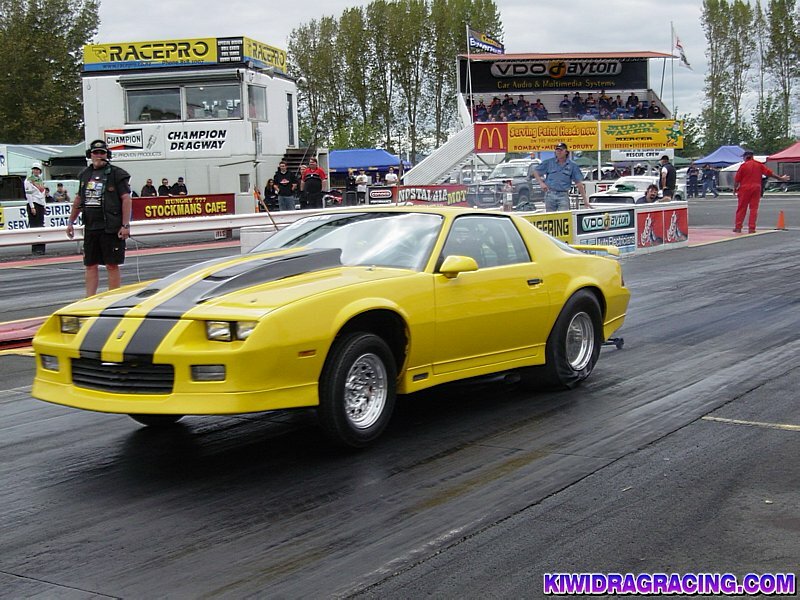 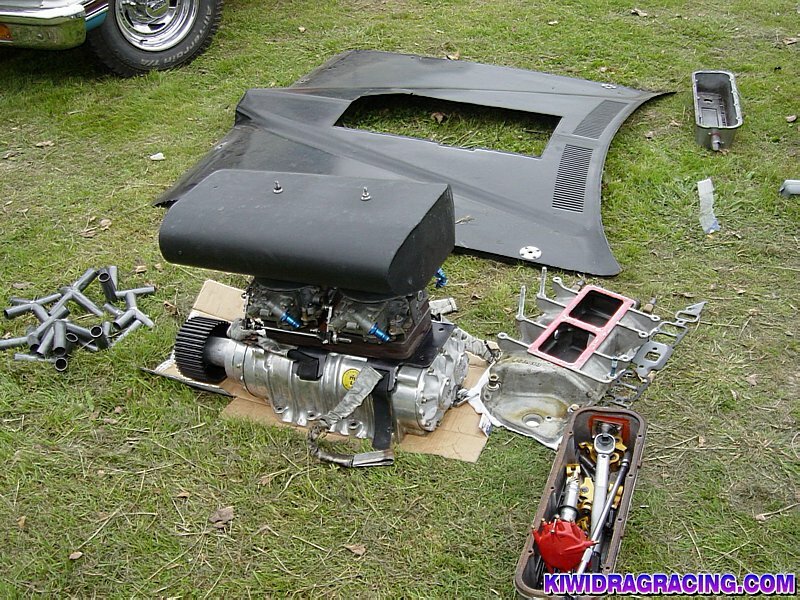 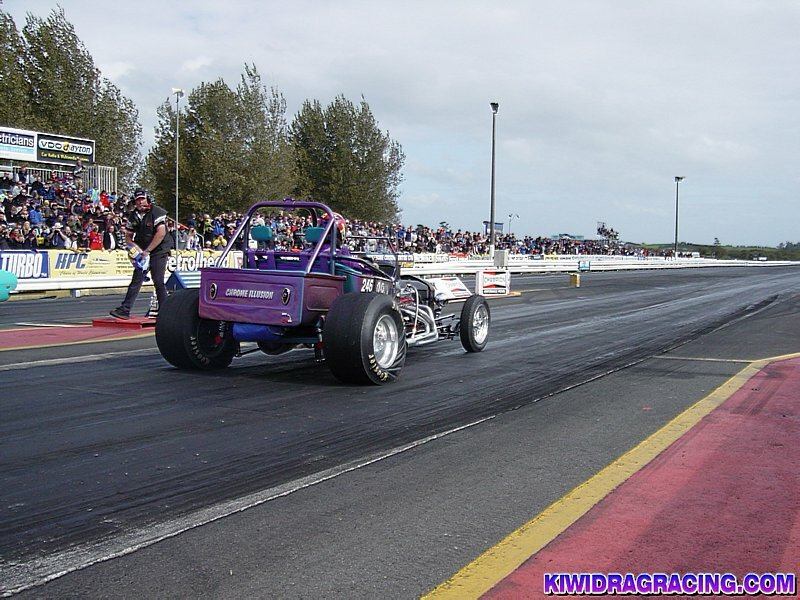 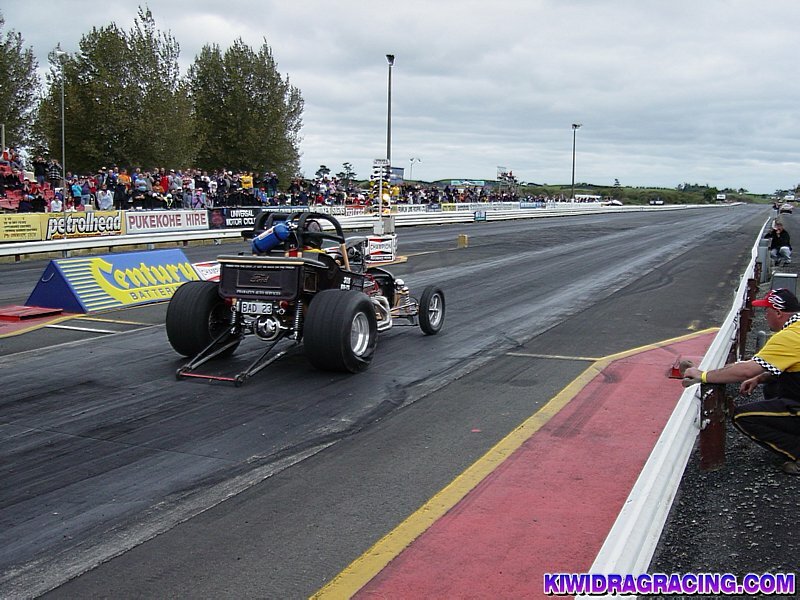 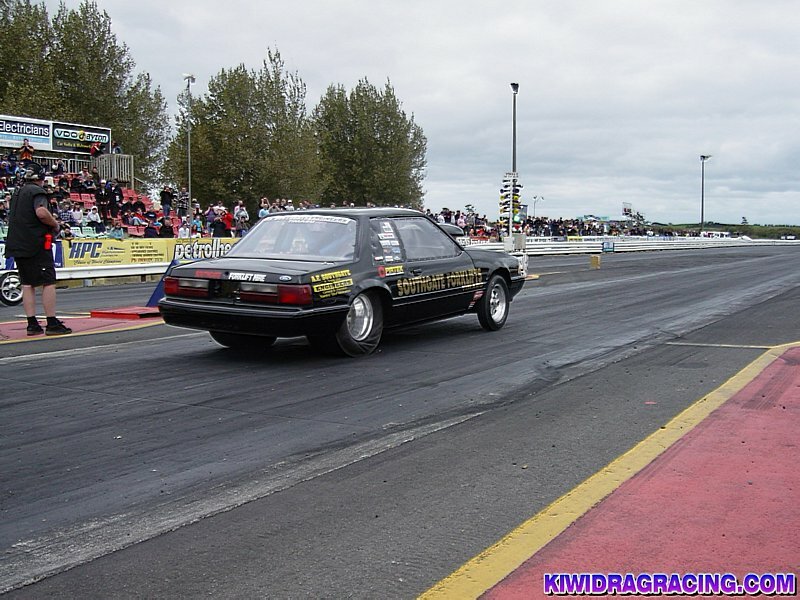 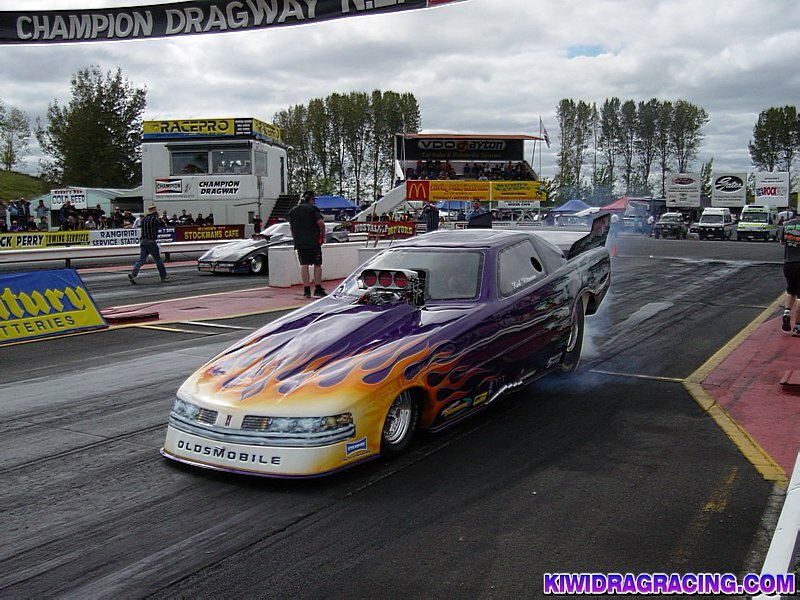 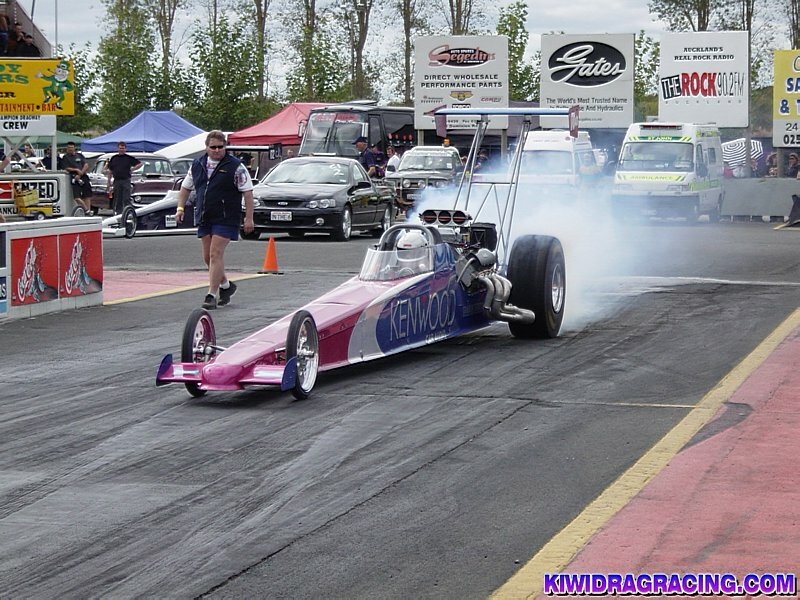 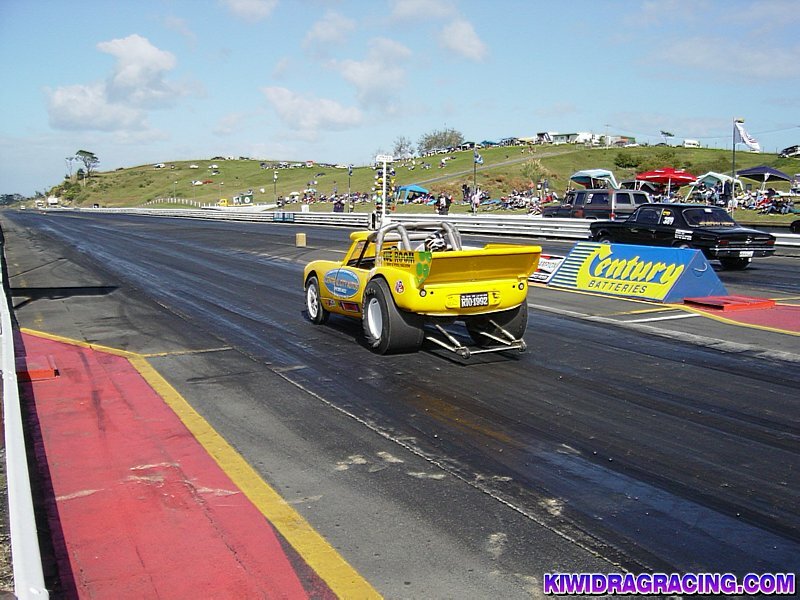 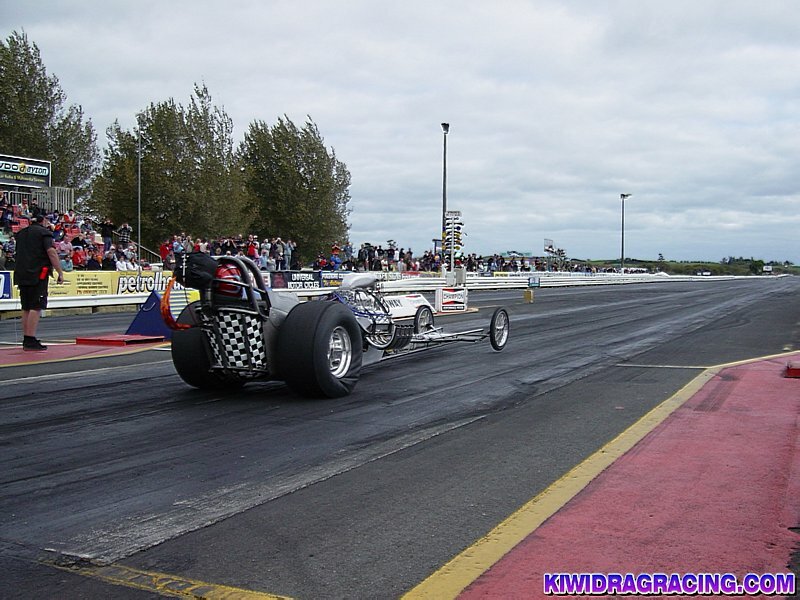 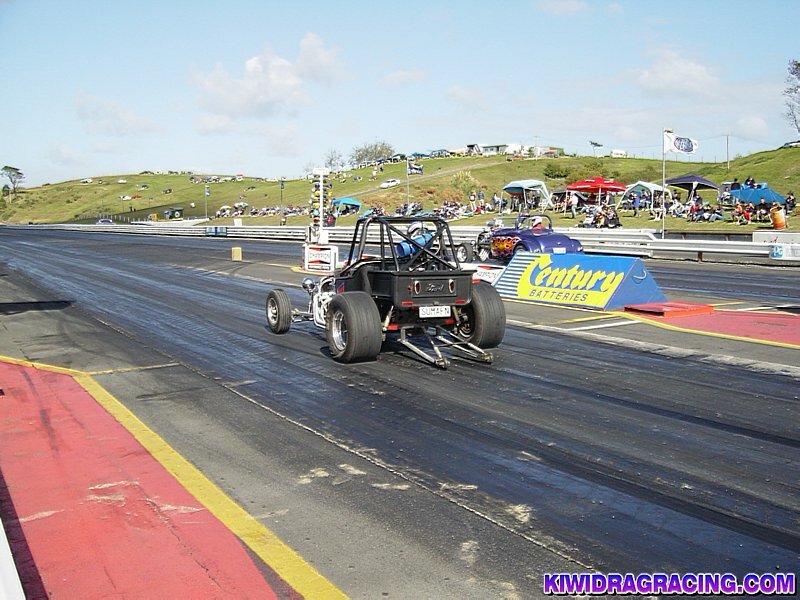 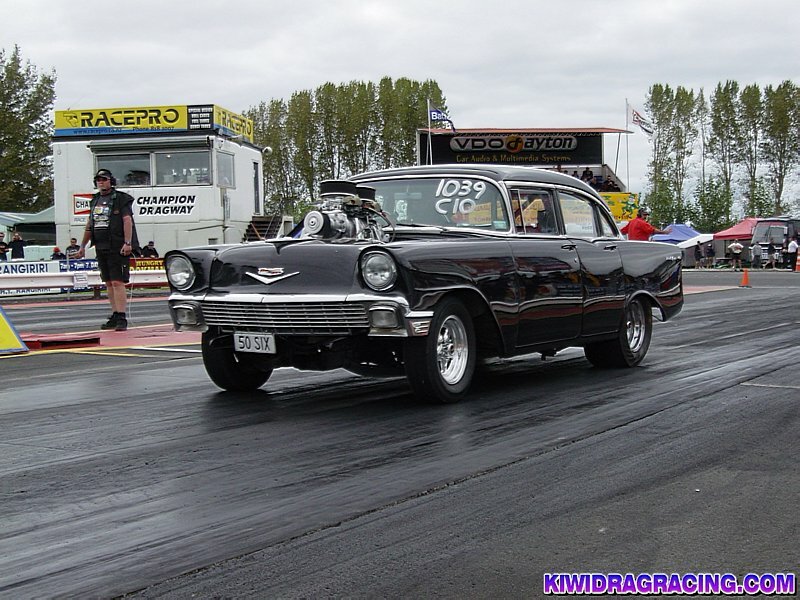 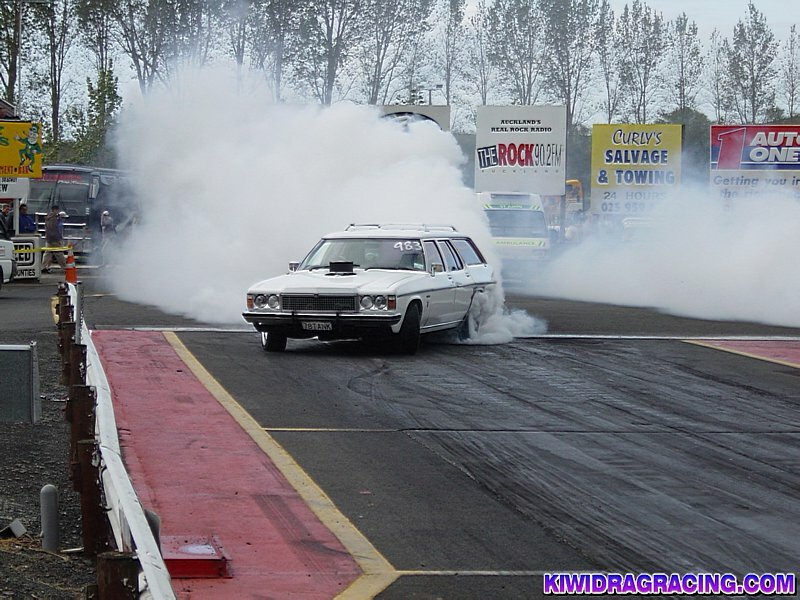 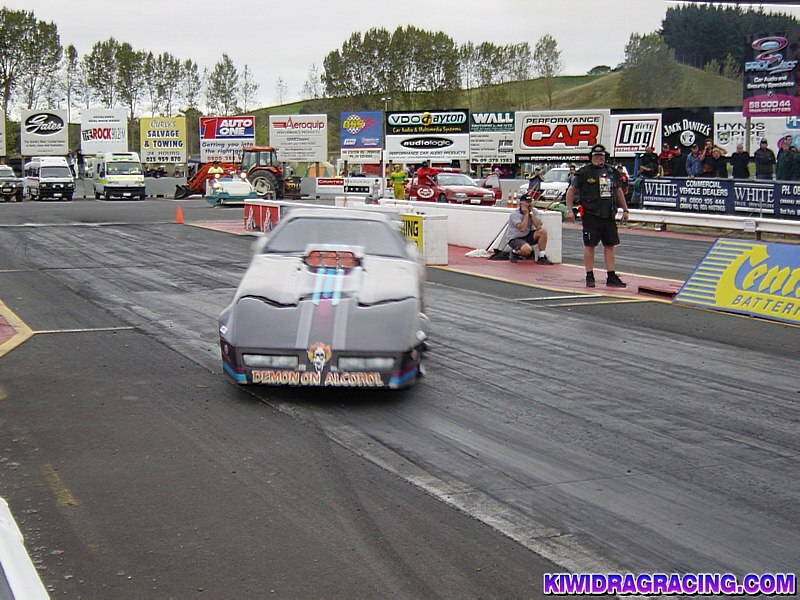 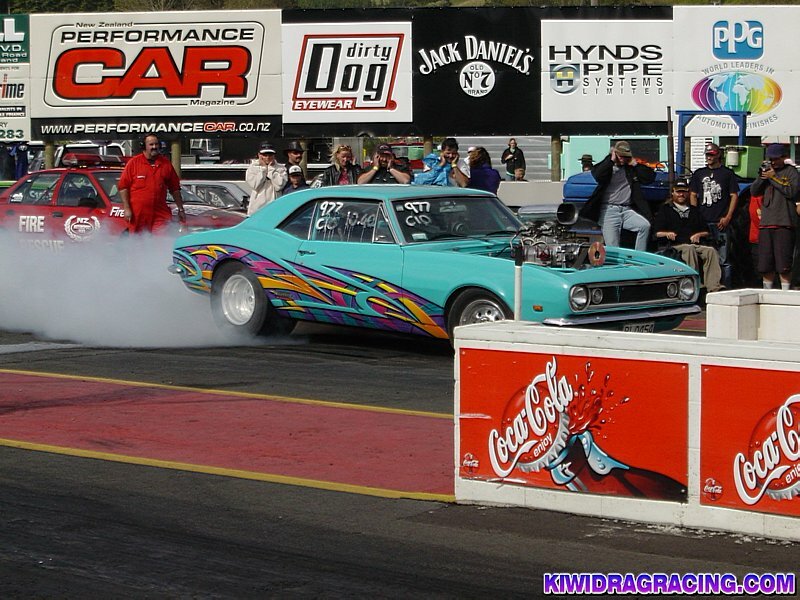 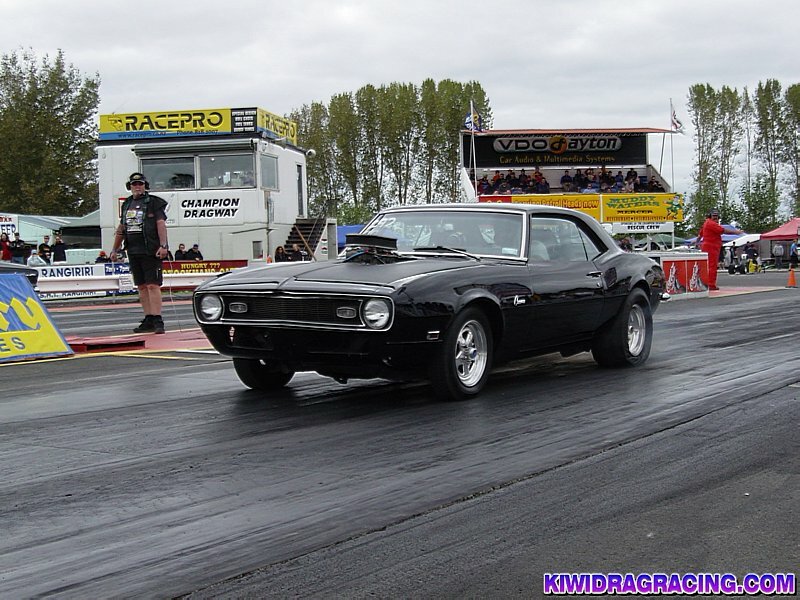 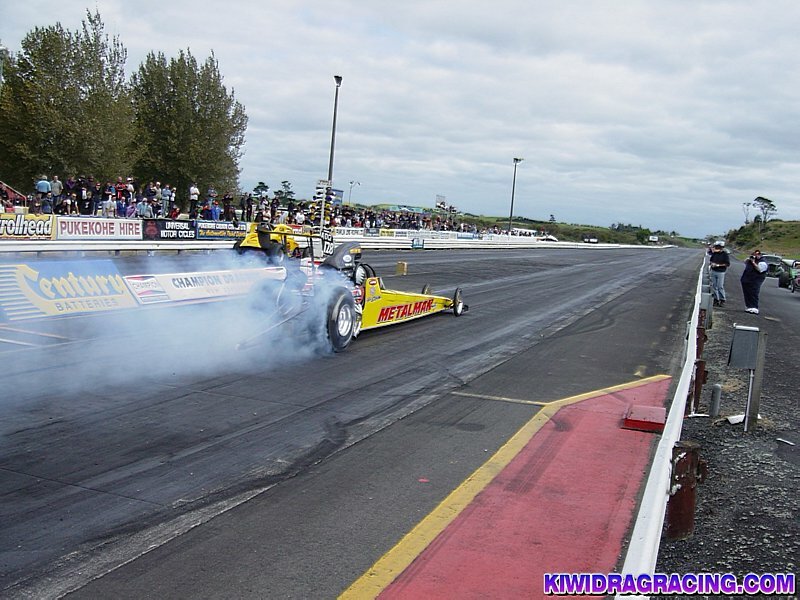 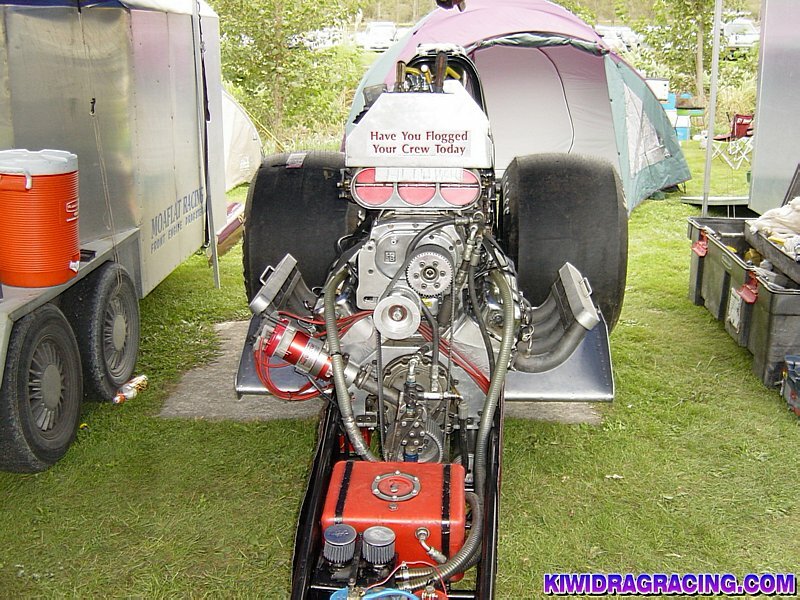 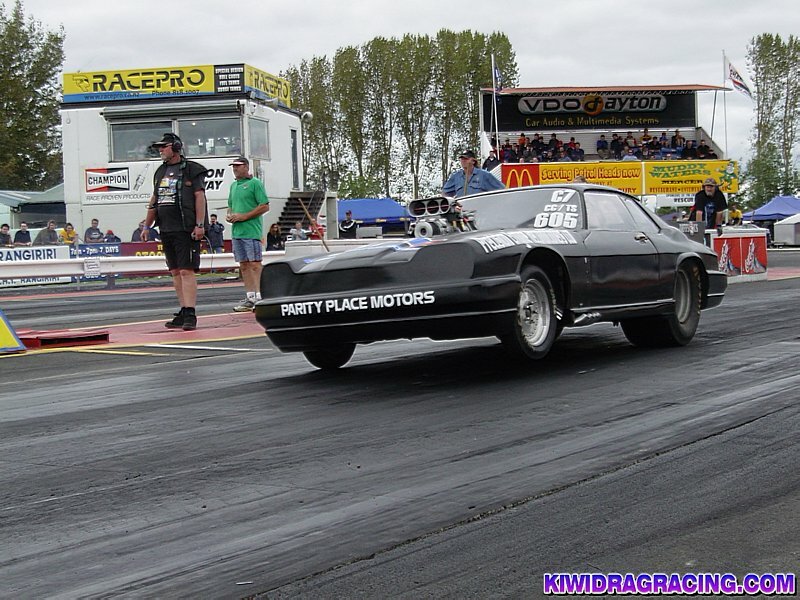 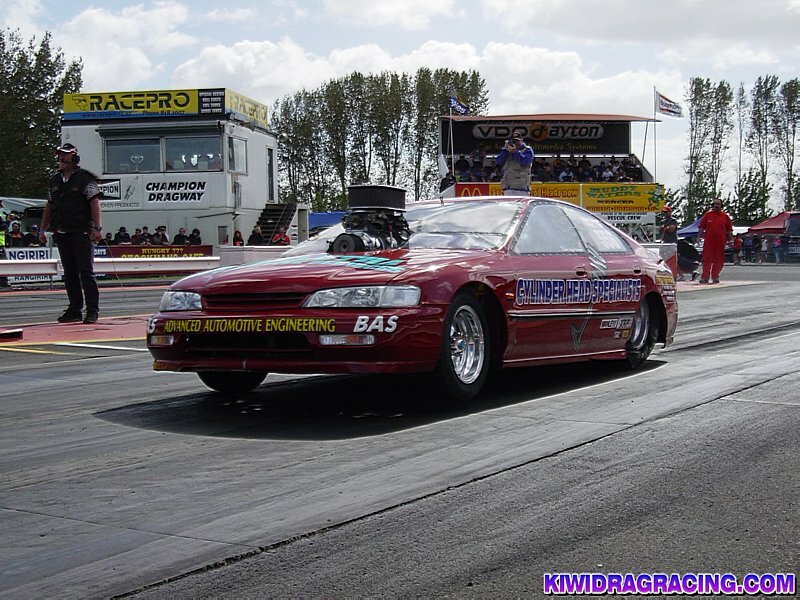 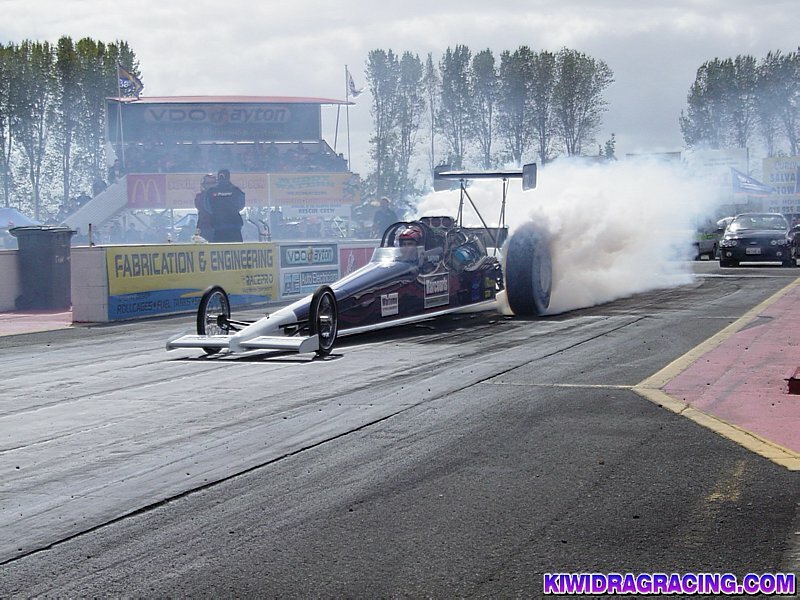 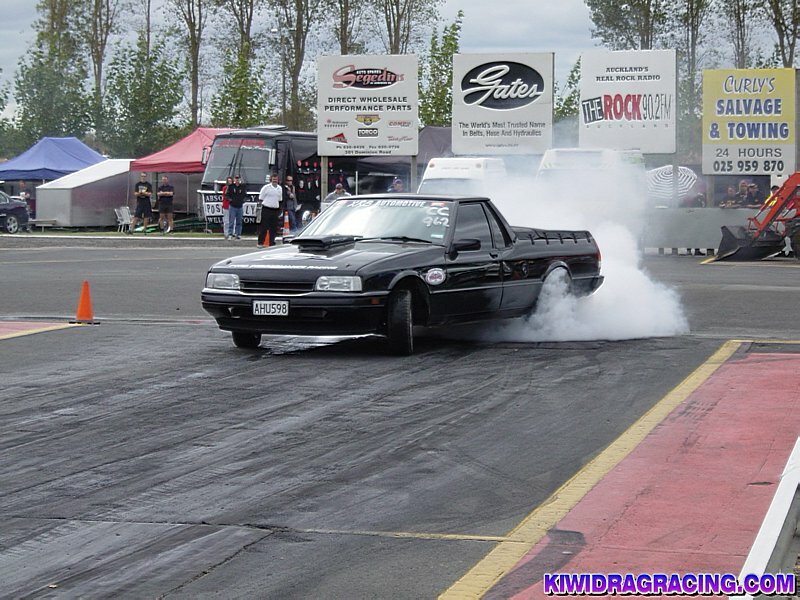 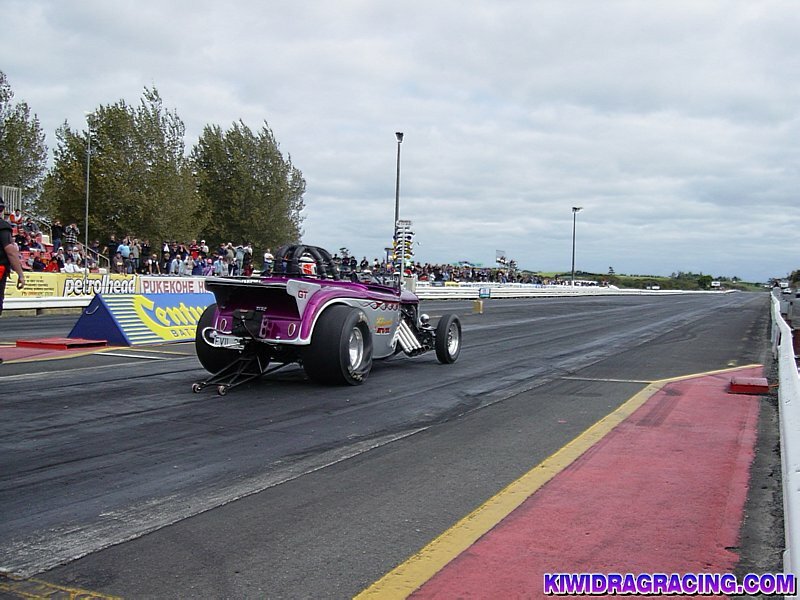 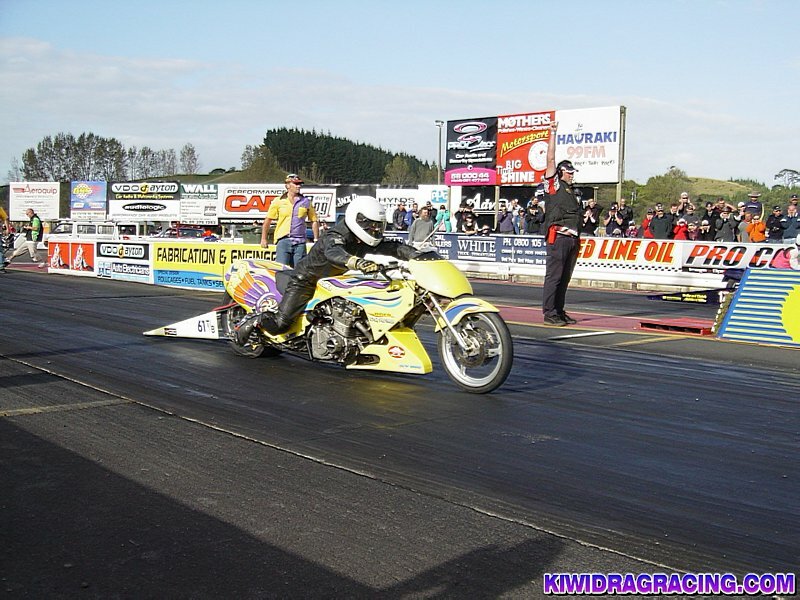 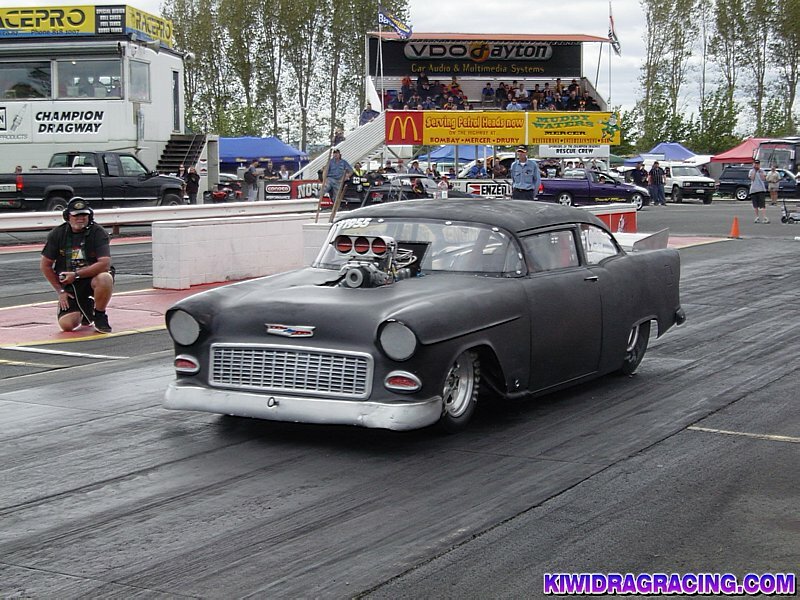 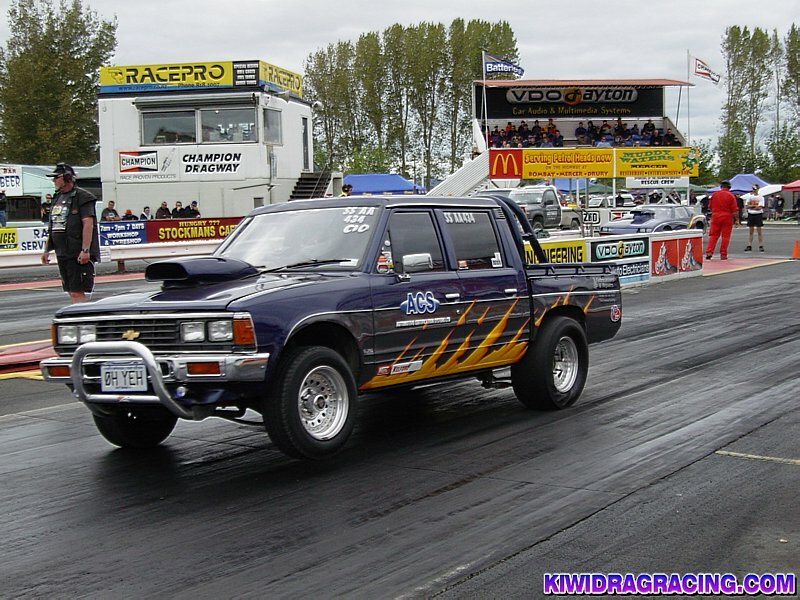 The 36th annual New Zealand Nationals sponsored by Century Batteries was held over the weekend at Champion Dragway, Meremere. 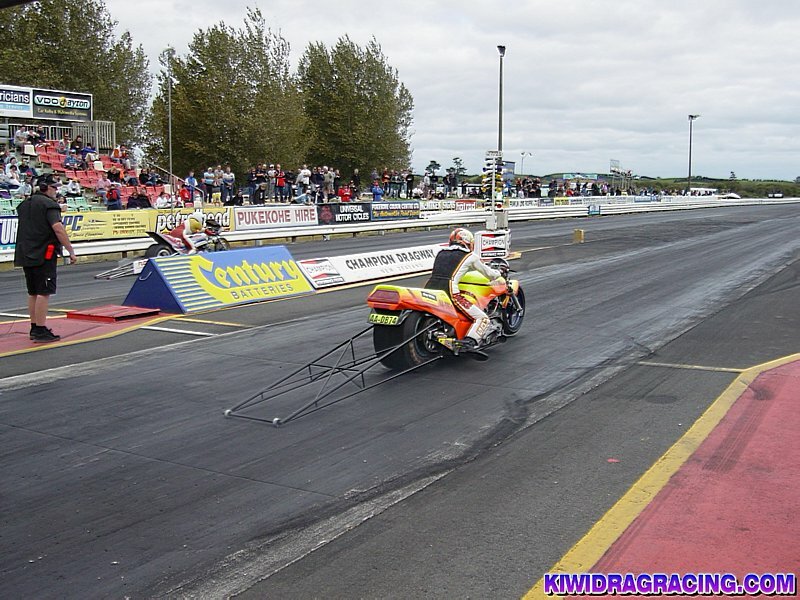 If you didn't make it to the track on Saturday or Sunday you missed one hell of an action packed meeting with some highs points and a whole bunch of lows also! 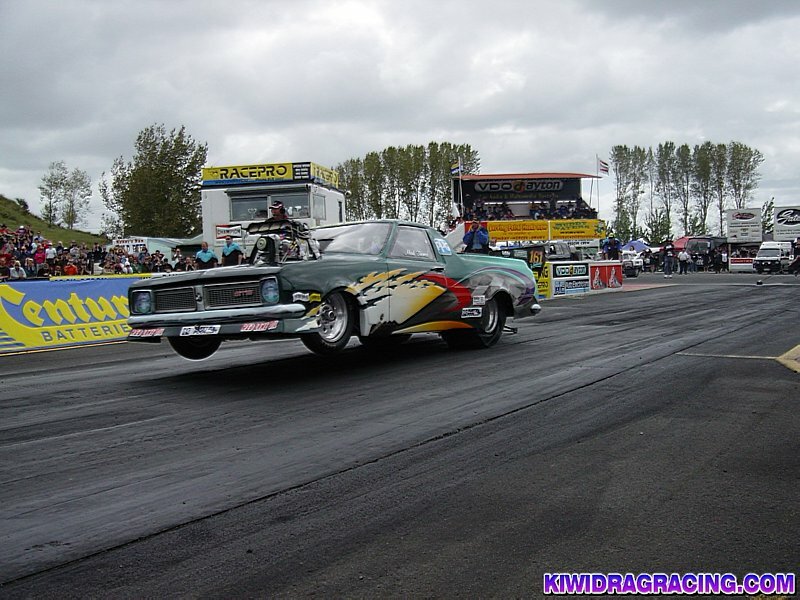 More on the highs in an extended report tomorrow but the biggest low was the cancellation or "postponement" of the Nationals due to a "malfunction" with the Christmas tree/timing system. 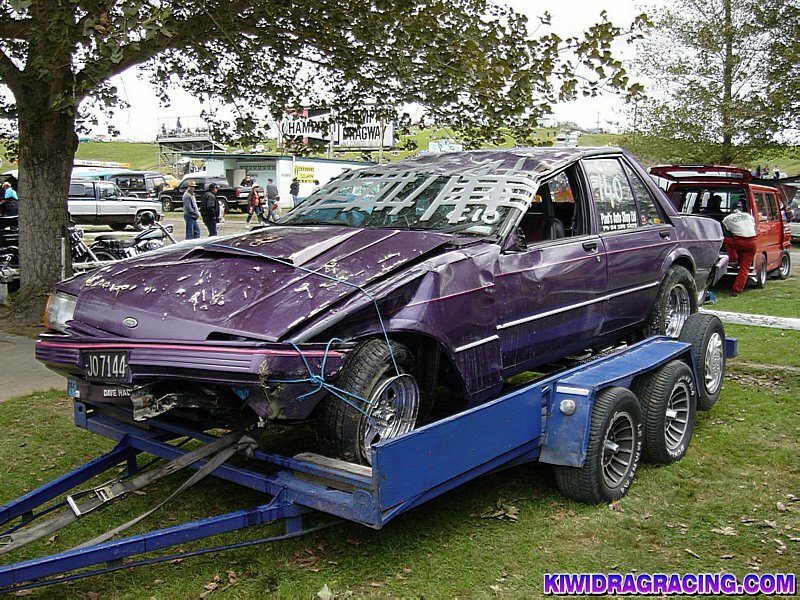 How did this "malfunction" occur you ask?.....well the tree got nailed by a bike/rider during the 1st round of eliminations which turned it into a pile of useless junk!